While visiting with us, don’t miss an underground tour of the Ocean Deeps Colliery, a coal mine located beneath the Museum building. 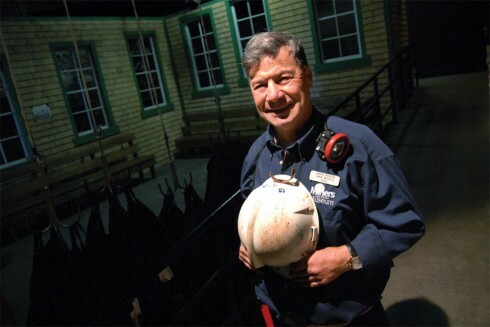 Retired coal miners are your guides for this excursion underground, and promise to entertain and inform you in a custom that has become treasured by visitors all over the world. The exhibit area focuses on the geological development of Cape Breton’s coal field. Learn all about the various types of coal mining and mining techniques, see our vast display of equipment and listen to the stories of miners, the companies they worked for, their unions and their families. The Museum is located only one mile from downtown Glace Bay on Birkley Street (off South Street). Close to major attractions like Fortress of Louisbourg National Historic Park, Marconi National Historic Site and the beautiful and historic Savoy Theatre, Miners’ Museum offers visitors of all ages an authentic and fun-filled day of adventure.